I am trying to gather in a one view method where I could get Visas. The guidebook is not written like a tour of West Africa, it is only written like you was going to one more country to visit or maybe just left or right, above or below. It does not seem, it could, and I have not found give an itinary of many countries. Guidebooks are not good at explaining multiple country trips, best for one country trips. 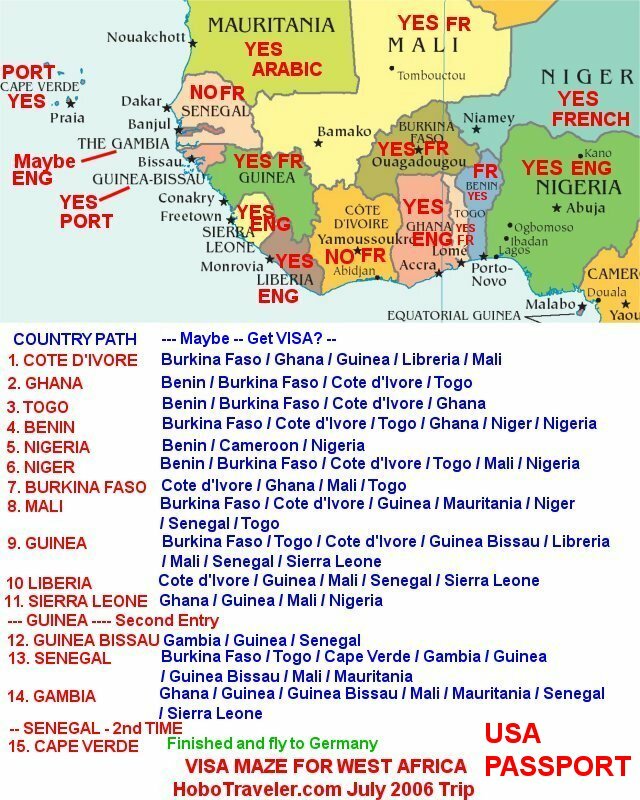 Map and list of countries that maybe I can get a Visa for, do not use this only for information, I have found many Embassies that are not included above. I have removed the countries that do not apply, the path is somewhat chosen, thus I only need the countries before the country, not after. I am making a big green box when I get a Visa in that country. 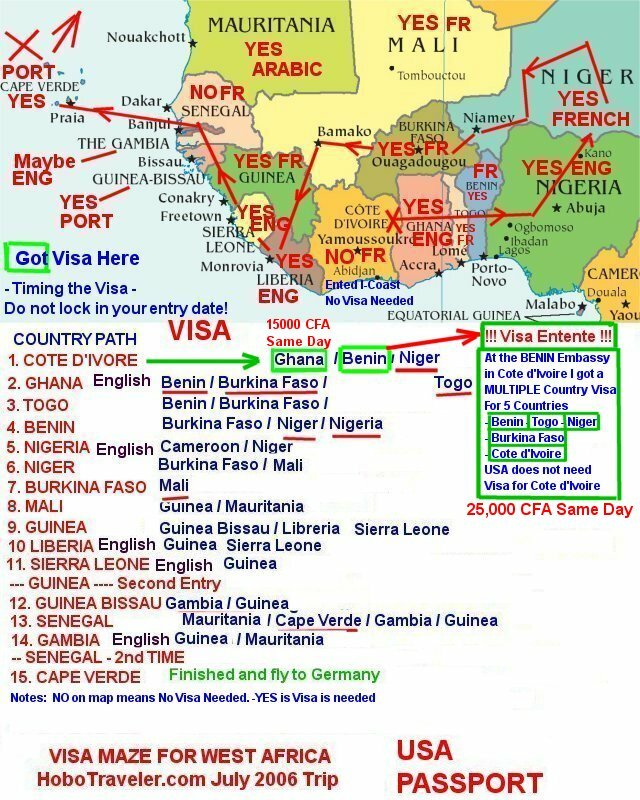 Note, am really hoping the Visa Entente allows me to go to Benin, Togo and Niger with one visa, and thus I would not need to get three Visas.